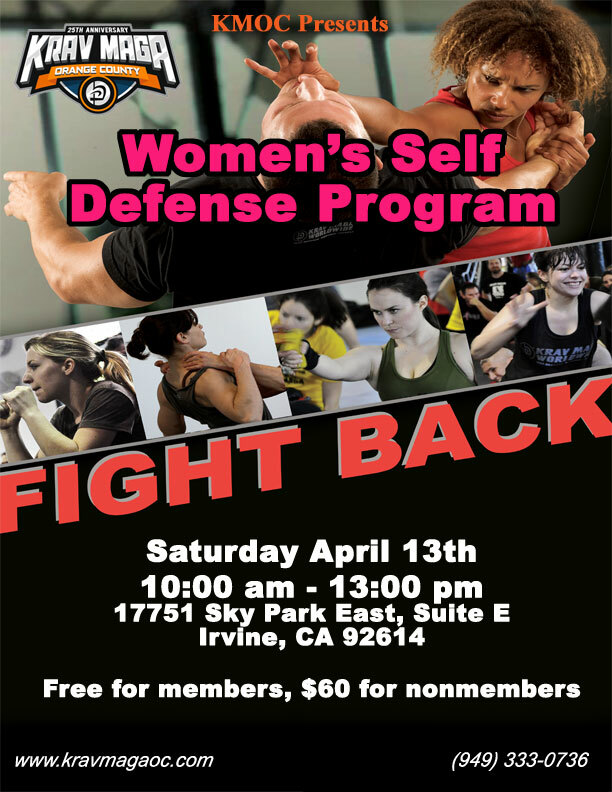 Krav Maga of Orange County is hosting a 3- hour self-defense program for women. This program will be held on Saturday, April 13th from 10:00a - 1:00p at our Irvine location. The program is free for members and $60 for nonmembers. This event is sold out. You can check back to see if space becomes available.